Discover more about how to raise funds for your volunteering trip by reading this article. We know that volunteering abroad is connected with certain expenses for you. This is why we created the following article to inform you about the possibility to fund your volunteer trip. Volunteers, who are eager to start volunteering abroad, are often faced with the question “How do I fund my volunteer experience?” There are a couple of ways to gather the necessary funds in order to pay the fees that accompany the volunteer trip. Volunteer World works with FundMyTravel, an online crowd-funding platform which is specifically developed to suit the needs of individuals desiring to volunteer or volunteer abroad. You can create a profile and thus attract donors who want to support you! We recommend providing as much information about yourself as possible. Please make sure that people understand the reasons why you want to volunteer and what you aim to achieve during your experience. This helps to convey your sincerity and passion for your adventure so that donors are attracted to support you with their money. You are then able to share your profile link with friends, family and the global community. This will help you to raise awareness and hopefully provide you with the necessary financial support. 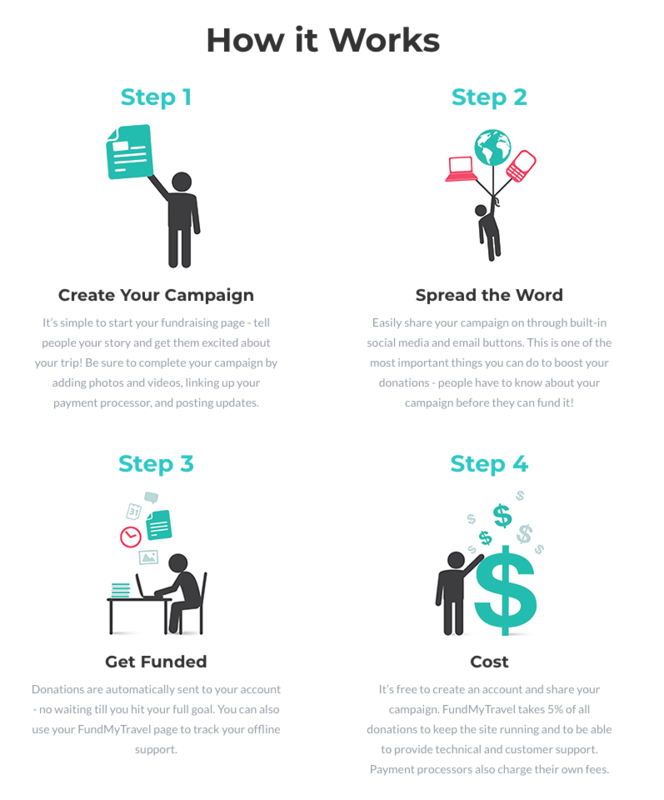 Create a campaign - Add a video or photo to tell your story and attract more donors.